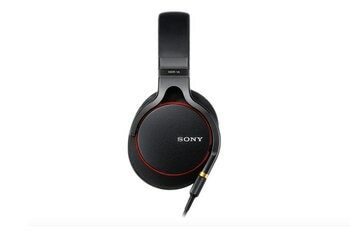 These open-back headphones deliver terrific sound. Your music will sound clear, detailed, and spacious. 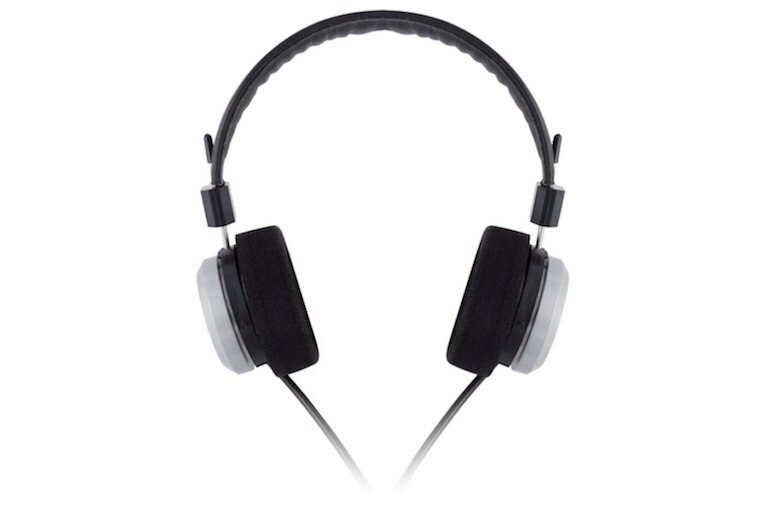 The unit feels super-sturdy; the ear cups can rotate 360 degrees. When you pull on them, the construction stays creak-free. The SR325e's headband is easy to adjust thanks to the sliding mechanism--and it feels lightweight on the noodle. 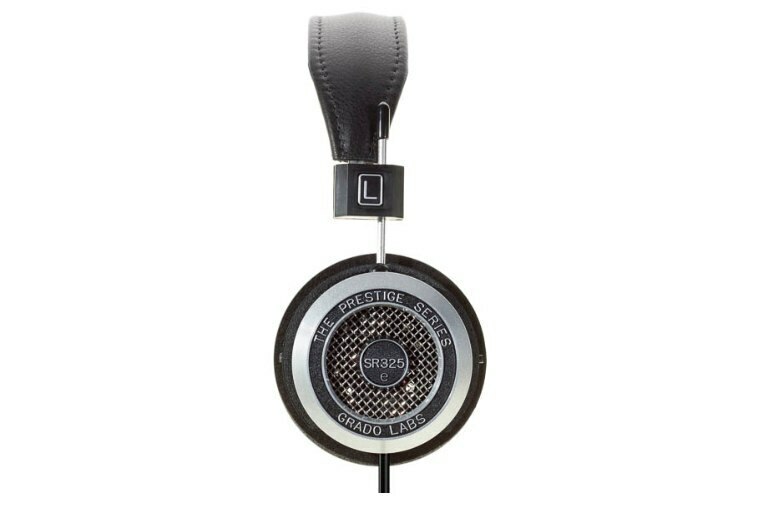 Grado's ear pads are firm and bowl-shaped; this design may not offer the comfort level against your ears that you are after. With the meaty plug, industrial-looking cable, and the sound leakage, the SR325s work best at home or in your own quiet office. 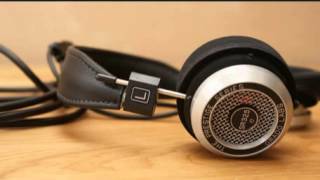 If you are looking for a booming bass, you won't find it with these cans. 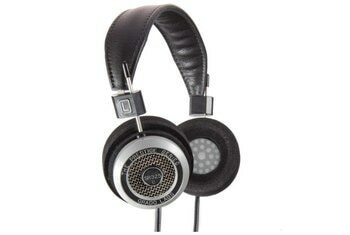 With the Prestige Series SR325e headphones, Grado offers a pair of on-ear and open-back cans with its signature 1960s look. 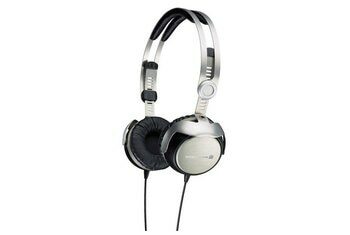 The company uses powder-coated aluminum housing for the SR325e, along with a genuine leather padded headband. The music sounds warm; vocals feel rich, and the top end sounds extra-smooth with minimal distortion all-around. This black and silver unit comes with just a 6.5 mm adapter. If you order direct from Grado, spend an extra $35 to get the company's hard-shell case. [T]he treble is a touch less hot, smoother, and more refined. Intricate cymbal work is crisp and clear as is the upper harmonics in guitars and the air in raspier vocals. Kick drums don't sound like blobs of bass. They sound like actual drums with an initiation, sustain, and decay of sound. Electric bass through a tube amp sounds like electric bass though a tube amp, not enveloping, room-shaking bass or amorphous blobs of low frequencies. 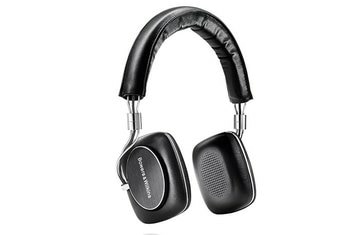 Thanks to the open-back design, its stereo imaging is more spacious and wider than that of closed-back headphones. 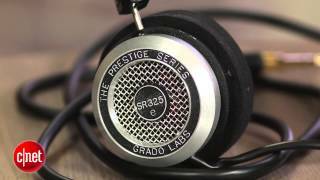 The Grado SR325e’s are a design master class and clearly excel at being highly accurate and transparent. 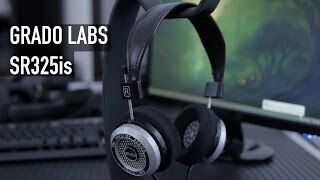 The main issue with these headphones is with the comfort, that can easily be user modified, but with all things considered the SR325e’s are a hit in our books. The tonal balance just sounds wrong. It may be what someone prefers, but if you have heard what a snare drum sounds like in person, you’ll find the balance in the SR325e unnatural. 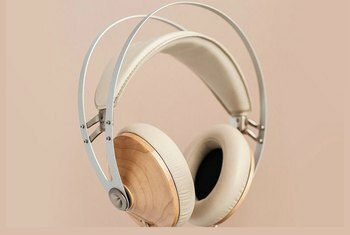 These aluminum framed headphones, with their no-frills style, firm foam earcups, and updated design...would look at home in [a] studio or by any soundboard. However, this also comes at a cost.